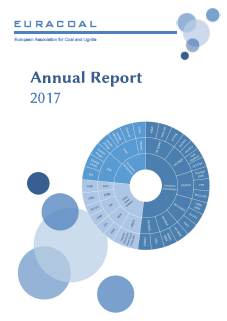 In 2015, after a record year in 2014, international coal trade was 1 311 million tonnes or 19.0% of world hard coal production which totalled 6 901 million tonnes – there is little international trade in lignite. Of this, 1 104 million tonnes were transported across the oceans, being the seaborne coal trade. 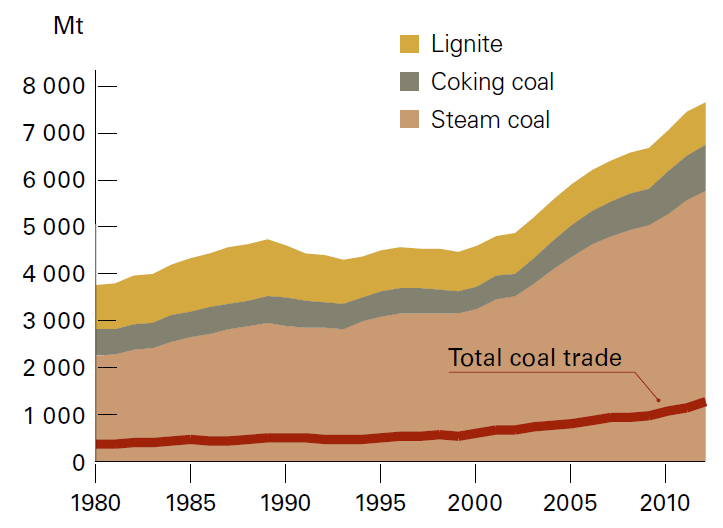 This data shows that coal is mainly used in the vicinity of deposits. However, coal from mines with low production costs and good transport links to sea ports can be delivered competitively to overseas consumers. 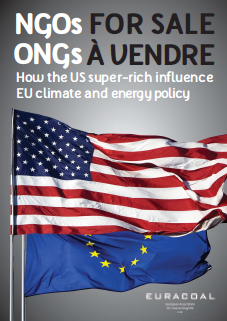 Since the oil crises of the 1970s, the growth in global coal trade has allowed the world to shift away from an overreliance on oil to the extent that oil is now rarely used for power generation. 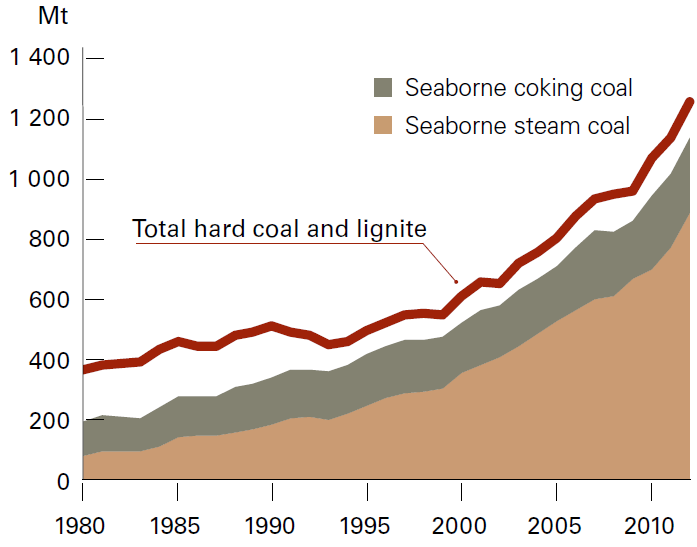 Seaborne trade can be further divided into coking coal trade and steam coal trade. In 2015, seaborne steam coal trade grew to 833 million tonnes, with a further 271 million tonnes of coking coal. 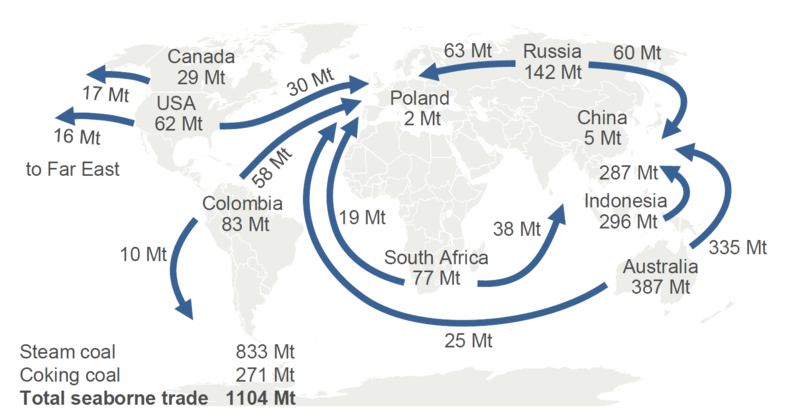 Overland cross-border deliveries added an estimated 200 million tonnes to international coal trade. The market for steam coal can be subdivided into Pacific and Atlantic markets, each with different supply patterns. By contrast, the coking coal market is a more uniform world market, reflecting the small number of supply countries: principally Australia, the USA, Canada and Russia, but with strong growth potential in Mongolia and Mozambique. Important exporting countries for hard coal are Australia, Indonesia, Russia, Colombia, South Africa and the United States, who together accounted for around 87% of all coal exports in 2015. The top coal importing countries are India, China, Japan, South Korea, Taiwan, Germany, Turkey, Russia, the United Kingdom, Malaysia, Thailand, Brazil, Italy and Spain, together accounting for 81% of coal trade. India became the world’s larger importer in 2015, following a sharp decline of imports to China. In the EU, Germany and the United Kingdom were the biggest importers. Imported hard coal makes a significant contribution to the EU’s security of energy supply and offers a competitive fuel which can be easily and safely transported and stocked. 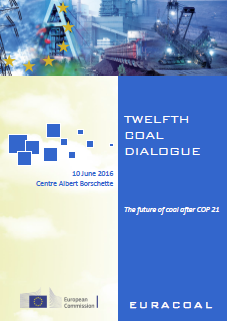 In 2015, 15% of all coal exports were destined for EU member states. Leading exporters to the EU are Russia, Colombia, the United States, South Africa, Australia and Indonesia. 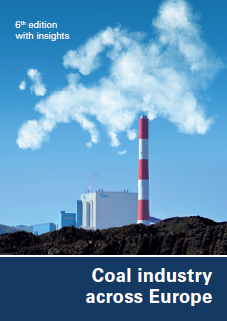 See Coal industry across Europe for more on coal markets.